Yeah, I got in one of those let's go crazy in PS moods again... hope you enjoy this painterly (does it look painterly?) 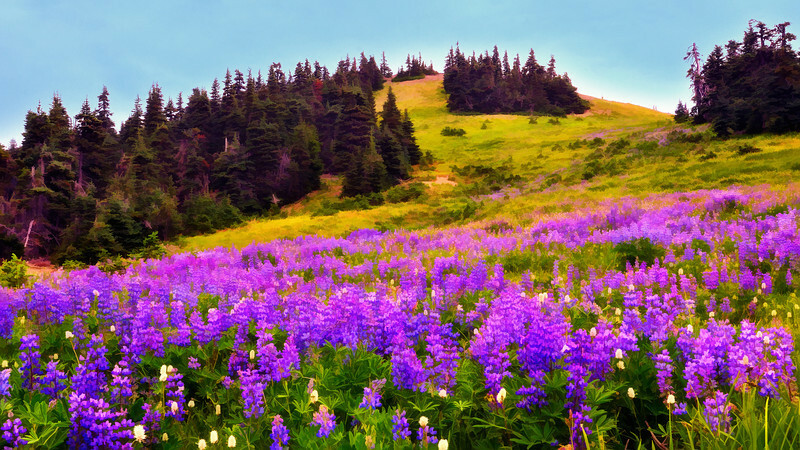 take on this lupine filled meadow at Hurricane Ridge. Notes: This image primarily utilized the Topaz Simplify plugin wth my modified version of the Buzz preset. This plugin in currently in a free open beta and you can download the action for free right here on flickr in their group ( http://www.flickr.com/groups/topazsimplify/ ) .